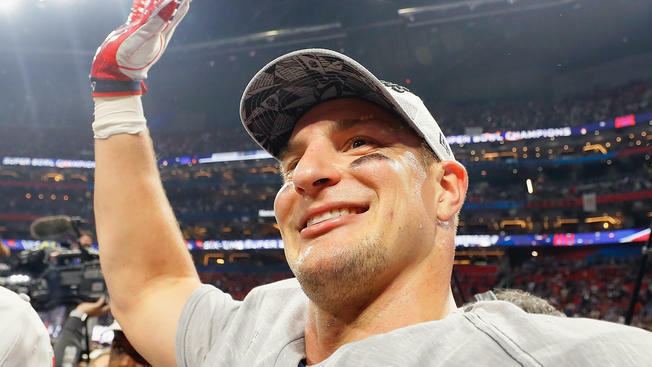 New England Patriots tight end Rob Gronkowski announced his retirement from the NFL after nine prolific seasons with an Instagram post on Sunday. Gronkowski’s agent, Drew Rosenhaus, also confirmed his client’s decision to retire. Bill Belichick, who has coached Gronkowksi for his entire professional career, paid tribute to a player he believes is one of the greatest tight ends in history. “Rob’s impact on our team and organization was felt in many ways,” Belichick said in a statement. “In the ultimate team sport, Rob was a great, great teammate. Gronkowski, a three-time Super Bowl champion who turns 30 in May, established himself as one of the most dominant tight ends in NFL history. He was named to the Pro Bowl five times and an All-Pro four times. But he has been dogged in recent seasons by back, knee, ankle and arm injuries that have limited his ability to stay on the field. He finishes his career with 521 receptions for 7,861 yards and 79 touchdowns and was one of the most dominant receivers in the game when he was fully fit. He was also know for his colorful personality on and off the field.